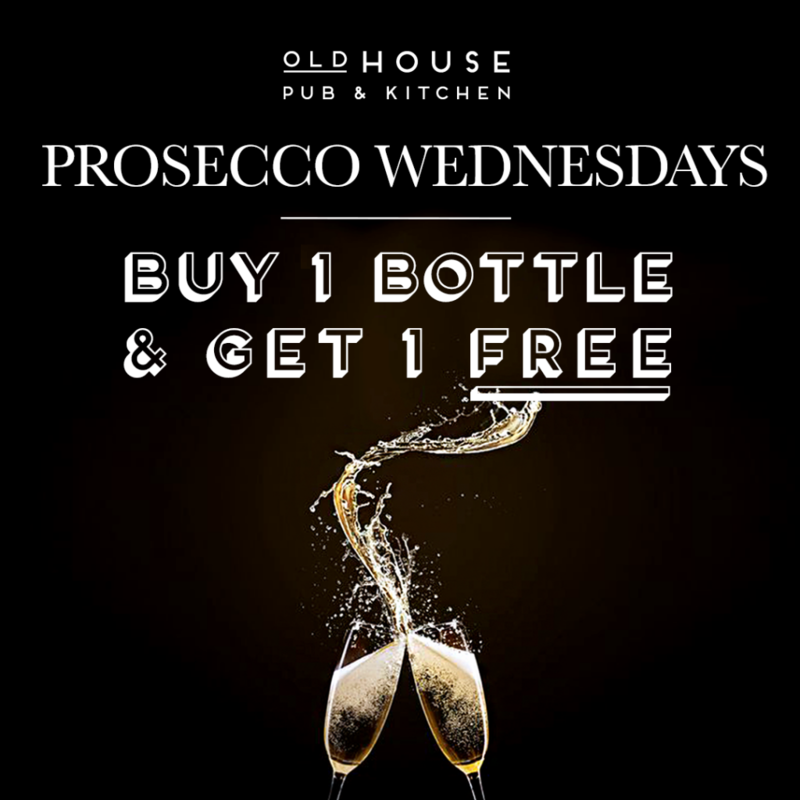 Buy One Bottle of Prosecco and Get One Free. Happy hump day from Old House. Come and enjoy a mid week catch up with friends. Available all day, as long as we’ve got them in stock.